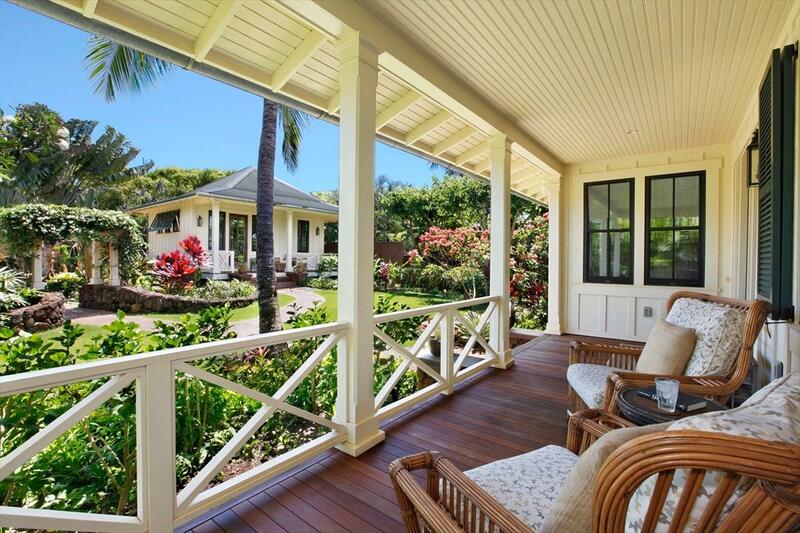 Affectionately referred to as Club Cottage #1, and part of the LEED Certified Club Cottage neighborhood at Kukuiula, this listing is the closest property to the astounding Club at Kukuiula. Indeed, no other property can claim the proximity that Club Cottage #1 provides. A glass of wine at the fire pit, yoga class, early morning tee time, tennis at sunset and a swim all avail immediately adjacent. 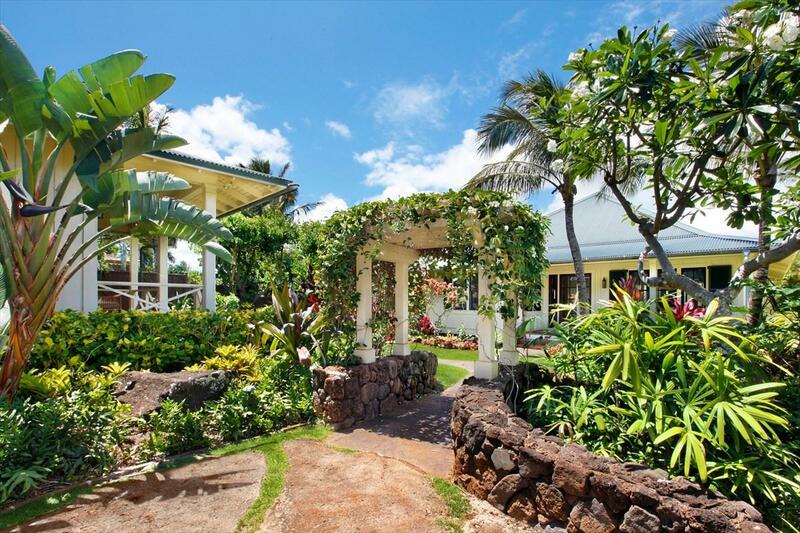 Its premier location, Kauais classic architecture, appealing interior design and room for guests all give this property great appeal. 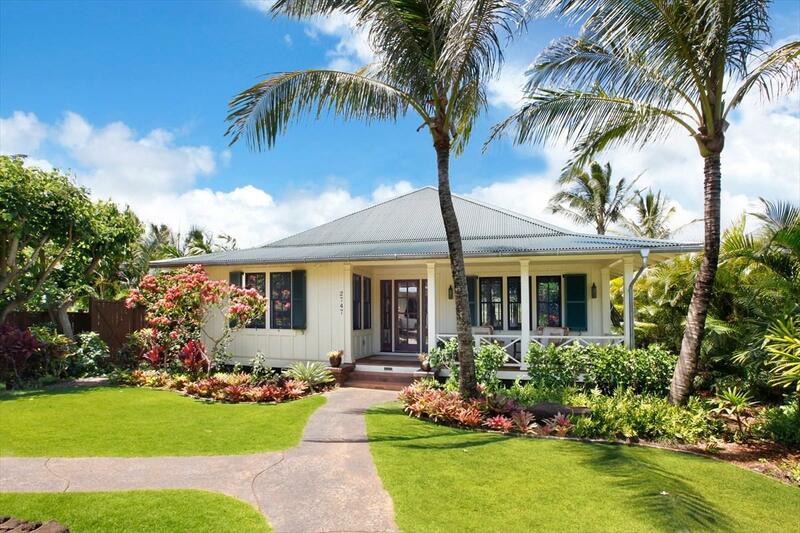 Features of this property include: LEED Certified Main Home and Guest Home Main home 2 bedrooms and 2.5 baths + outdoor showers Guest home 1 bedroom and 1 bath Live here or vacation rent when not in residence. Fine kitchen with black honed granite and high level appliance package Masterful interior design All master suites in Main Home with views the gardens beyond Custom pocket doors open wide to screened lanai expanding the living area Pella windows Fully air conditioned Full electronics package Fire pit and built-in barbeque Owners storage Post & pier foundation with added slabGrab your cup of coffee at dawn and sit on the screened lanai looking "mauka toward the mountains. Quietly awaken with the sounds of the Garden Island: birds singing, the tradewinds moving through coconut trees, the slow dance of hibiscus awakening to the new day. 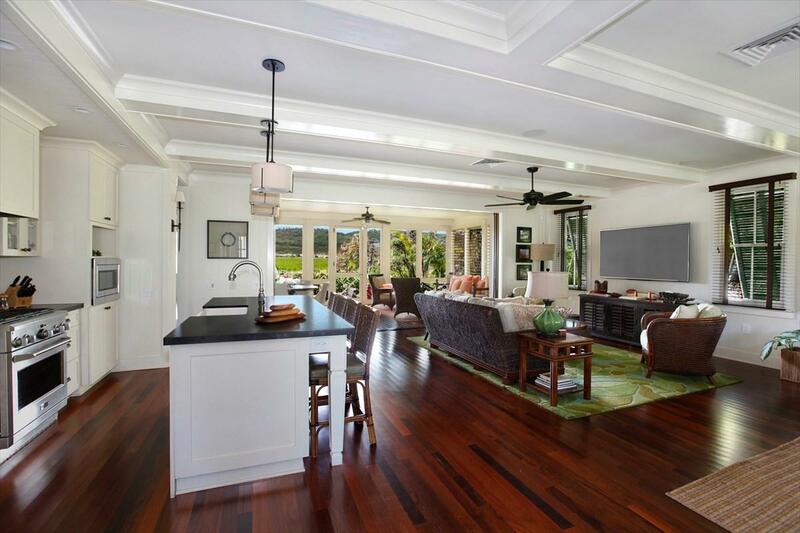 Move from this position as you see fit and take but a few steps to the front door of the Club at Kukuiula where your gaze moves through the impressive common living room then to the ocean and bay beyond. Every blade of grass looks to be cut with precision while hammocks invite in a whimsical way. Linger some more then take breakfast on the club lanai and enjoy the Chefs specials of the day. Return home after a day of outdoor pursuits to the beautiful interiors of Club Cottage #1 and call it a perfect day.